Nearly one metric ton of hardware will land on Mars in about nine months’ time, uncurl its limbs, and start rolling around in the name of science. Designing something like Curiosity isn’t easy. Around August 6, 2012, a spacecraft will reach Mars’ surface after a nine-month journey from Earth. 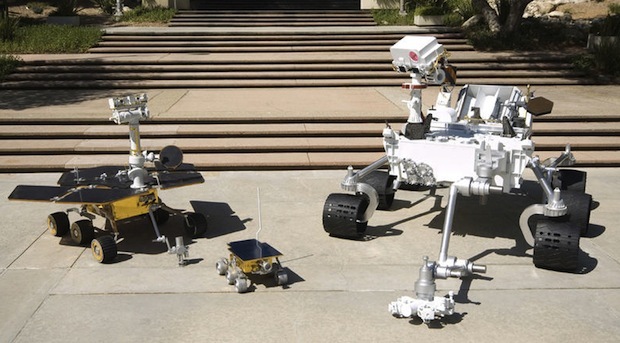 It’ll flex its legs, turn on its cameras, and activate its wheels, turning from a spacecraft to a rover. Curiosity, it is called, and it is at the cutting edge of human extraterrestrial experimentation. Designed to investigate our closest neighbor, which may have once hosted life and seems to have had a massive planet-drying attack of global warming, Curiosity continues the work of earlier rovers Sojourner (landed July 4, 1997) and Spirit and Opportunity (January of 2004). Curiosity is different though: It’s the size of a Mini Cooper, has a huge robot arm, a weather station, and is five times heavier than Spirit and 86 times heavier than Sojourner. Curiosity will be doing science in real time on another planet in a way that’s never been done before. 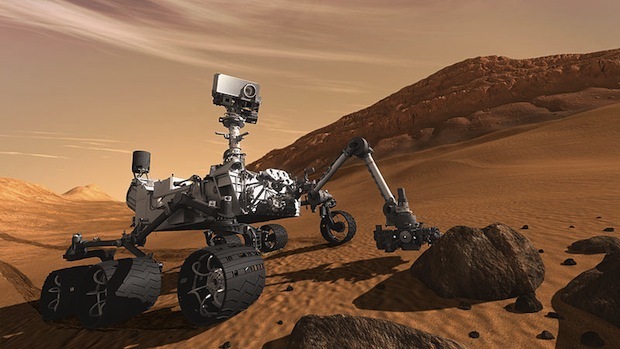 Fast Company spoke with Bill Allen of the Jet Propulsion Laboratory, who led the team actually designing the hardware for Curiosity, to understand how his team organizes such a complex project. It has a lot in common with some of the projects your business may work on, as it turns out–with the major difference that once it launches there is no way to go back and tweak anything. Once the more paper-based section of the design is complete, everything becomes much more high-tech. “We use computer-aided design systems to effectualize the trade space,” Allen explained, “and as a rule we at NASA prefer to try to do COTS (commercial off-the-shelf) systems for hardware and software as much as possible. But we’re not really in that business. So we have to develop our own.” This means there’s a huge scoping process to flex different parameters of the design that would not be possible with a pre-designed and pre-engineered system for every segment. As part of the design trade-offs, items have to be left off. That included Allen’s personal favorite, a camera that pointed aft to offer a view of the separation stages. “I think that would’ve been an extraordinary camera to have,” he says. This camera would’ve offered an amazing view of the descent through Mars’ atmosphere, with the rear heat shell popping off, parachutes deploying and the final rocket cradle descent–valuable data for working out how well the mission is flying and details for future mission designs–as well as unprecedented views of the Martian atmosphere. Though it would’ve had to be space-hardened and require electronics support, it would probably have only added a kilo or so to the vehicle mass. Now Allen enters a curious hiatus until August 2012. The Mars Science Laboratory of which Curiosity is the key part (which is sometimes overlooked, Allen noted), successfully launched aboard a Delta II rocket last Friday. Eventually, he will learn how well the design trade-offs paid off, and how effectively Curiosity turns up climate and life-detecting science.